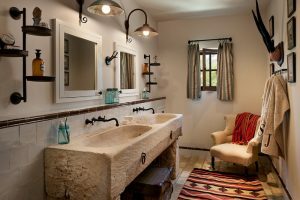 There are many ways in making small bathroom to have as much space as possible. One of them is blending the color. You can try to choose what color you would like to have for your color. If you want to look white, you can try to blend the ceiling, the wall, and the tiles in white. The smoother the blending, the more gorgeous it will look. And the most important thing is, the larger it will look. 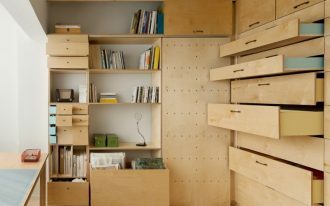 Besides that, you can also put less big furniture or partition to the bathroom so that more space is available. 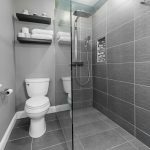 One thing you can do is placing walk in shower in your bathroom. You can put half glass partition or none at all. 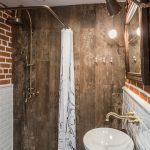 Some ideas on walk in shower for small bathrooms are below. 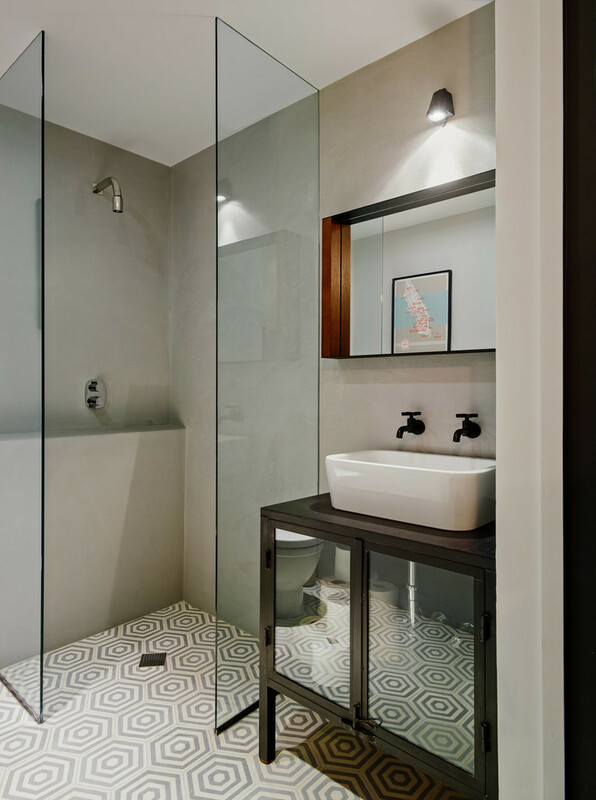 It is understandable that a small bathroom will go with wetroom option where there is no door on the shower. 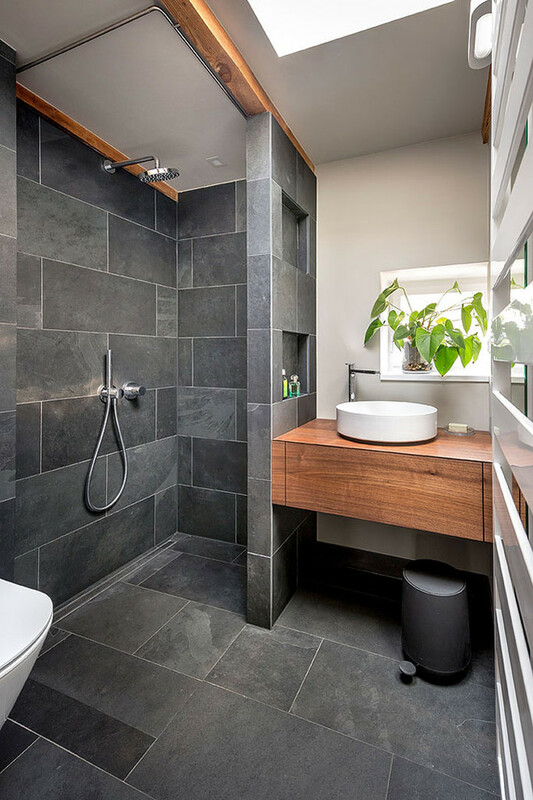 It is more comfortable for anyone who takes a shower in already small space. You do not have to bump into the door. The little the partition is, the larger space you will have. You can see it from the picture below. The glass partition is so small to protect the faucet area of the sink. 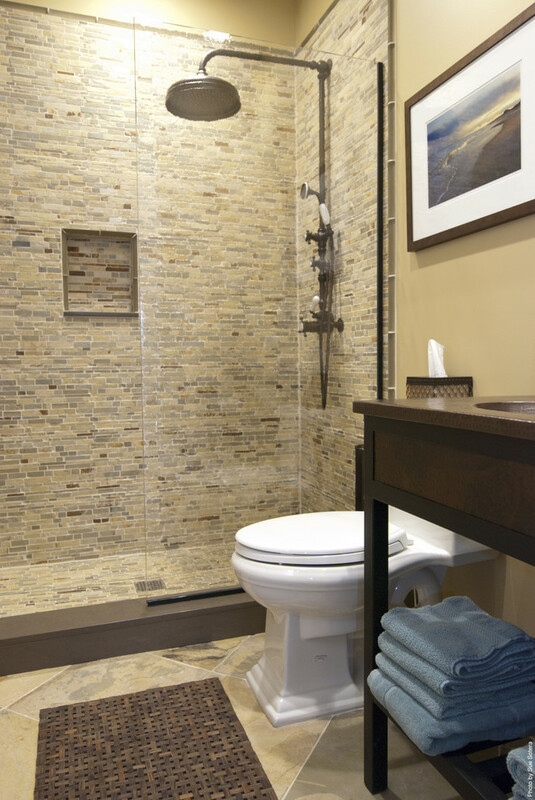 Having walk in shower also allows the moisture and hot air flows out faster so that you will not feel stuffy. By having better air circulation, you will feel more comfortable taking your shower. 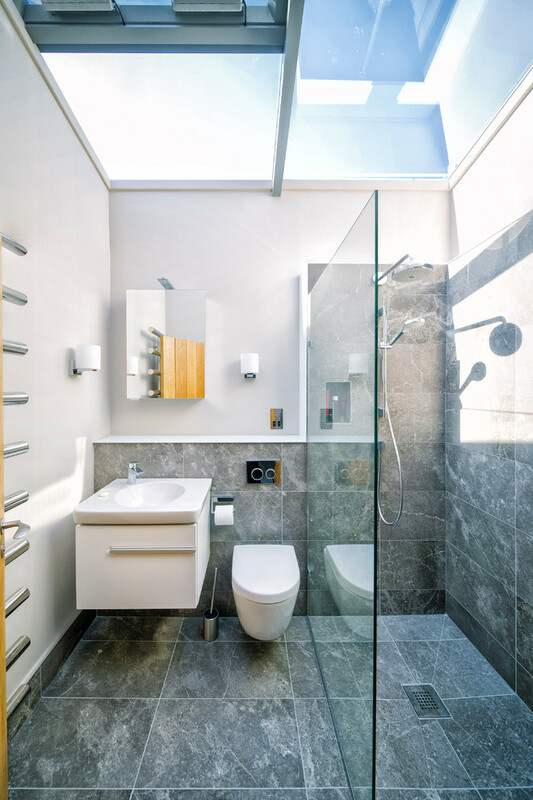 And if you don’t like making your toilet soggy and wet, for a toilet that is installed near the shower, you can install glass partition that is enough to protect the toilet. 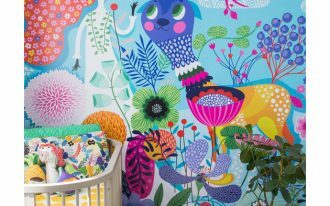 As said before, one of the things you can do to make your small room looks larger is by blending the color in the room, like demonstrated in the picture below. 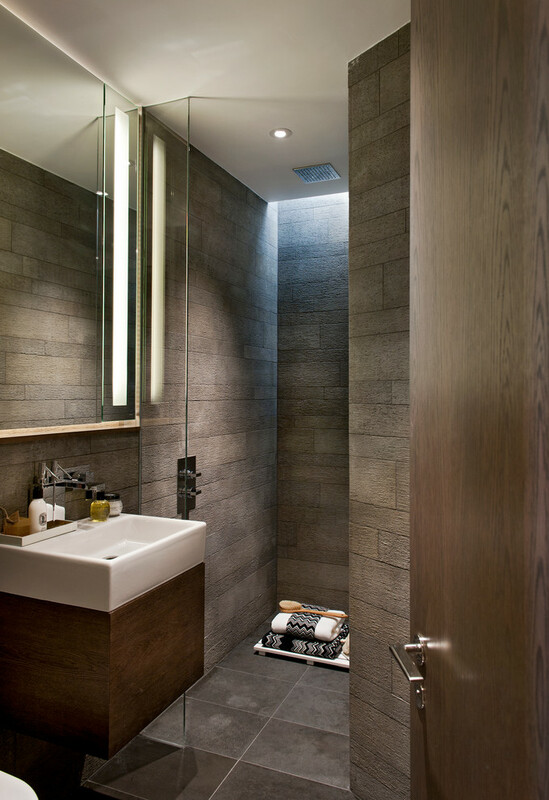 With the same tiles on the wall and the flooring, there is not cutting on the shower area. And it ends when the flooring changes. 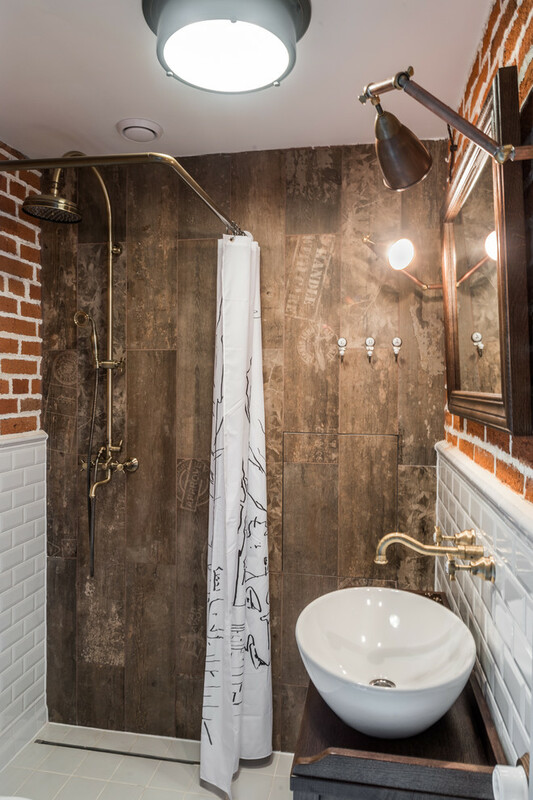 Although the shower area is small, it can still look larger. 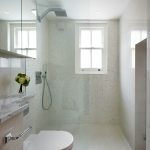 And of course, glass partition helps you to protect the toilet but do not make any barrier with the view. This one has blended all white color in the flooring, wall, and ceiling. And it gives the feeling of a large room. 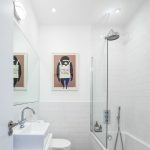 The walk in shower is, of course, all in white and there is glass panel to protect the toilet from getting water splash. This is another shower area without door. 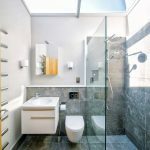 And because the bathroom is in square and the shower is in the corner, the owner put glass panel on both sides to protect water splash too much. Having small bathroom sometimes limit you to the choices you can make. 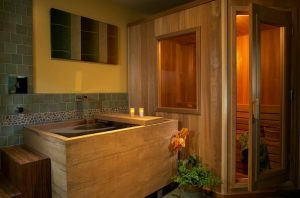 If you want to have both tub and shower, however, you can put those in one. 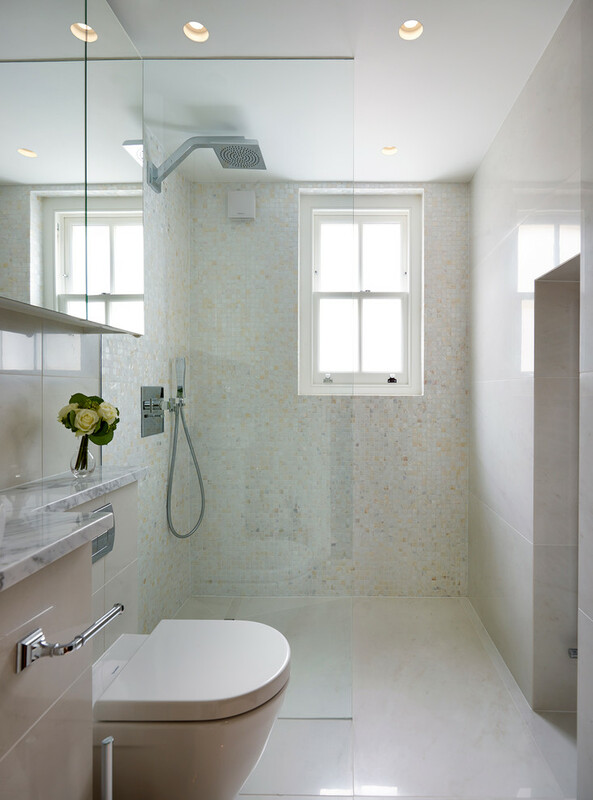 And you can use glass panel on to protect the rest of the bathroom from water splash. 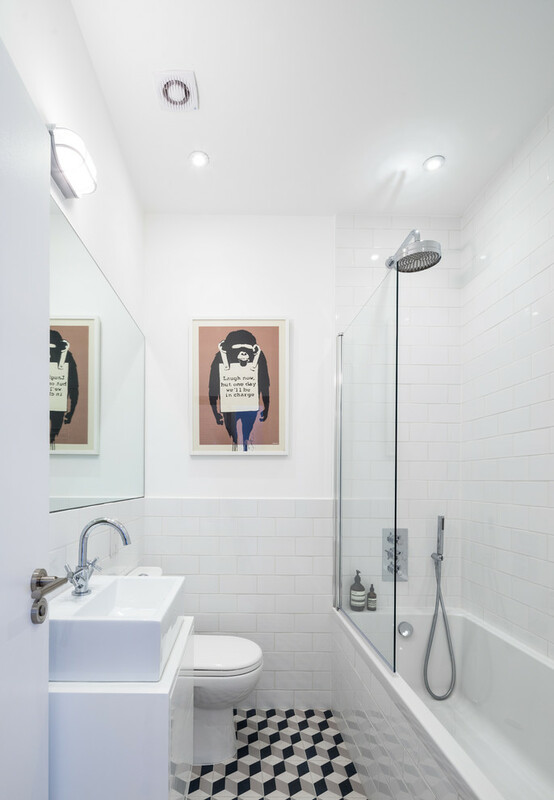 One of the tricks to make your bathroom looks larger is by using mirror and glass. While you can put bigger mirror, you can also use much more usage on glass. Like this one below, you can use glass in the ceiling to have clear view and bright lighting to your room. Although, the con is that you can get hot when it is in the middle of the summer day. 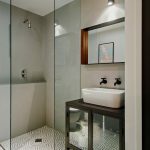 While the previous pictures suggest you to put glass partition, here below, you see the use of wall partition covered with tile. 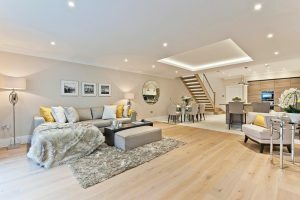 And of course, to avoid cutting in the middle of the room, you might want to have it in the same color palette with the flooring, or if it’s possible, you can do it with the ceiling too. 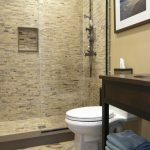 If you don’t like permanent partition like walls or glass panel, you can try using curtain in the shower. With this, you can remove the partition when you don’t need it and have your room as large as possible. 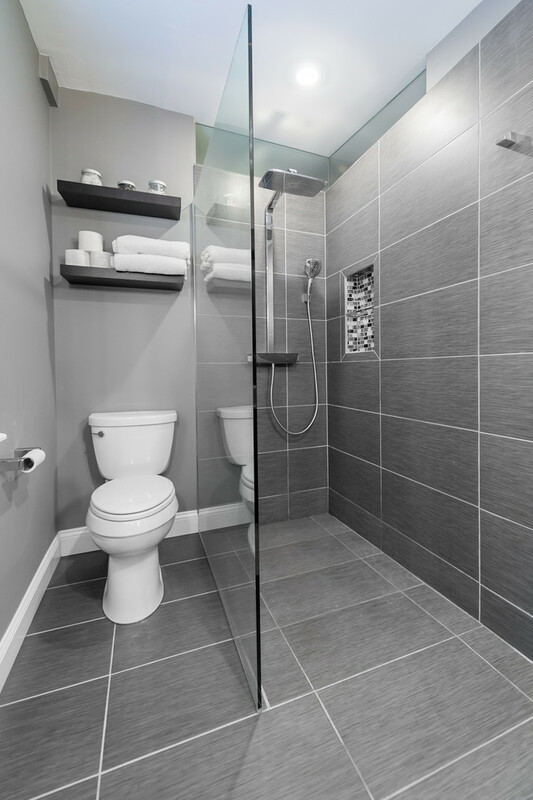 This walk in shower area is all in grey. The tiles in the flooring and shower wall is the same. There are black and white mosaic tiles in the wall for soap and shampoo holder. The wall outside is painted grey too. 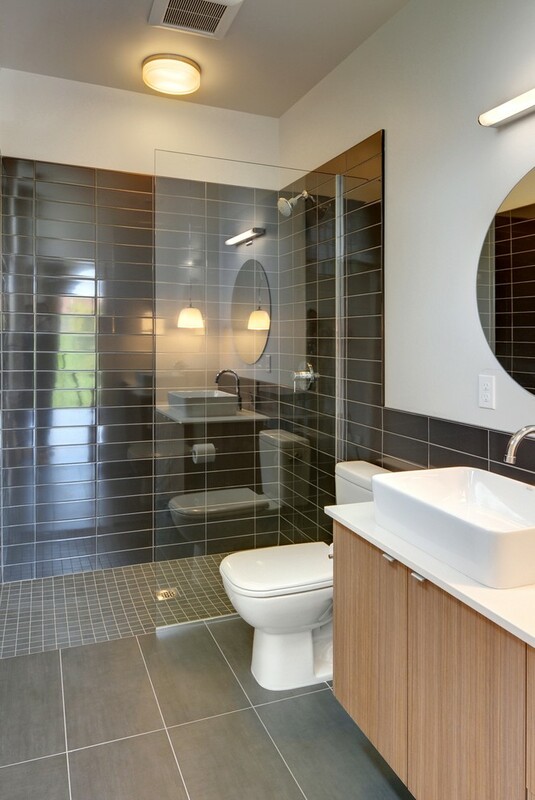 The glass panel is long enough to make sure that the wet possible are is minimal.